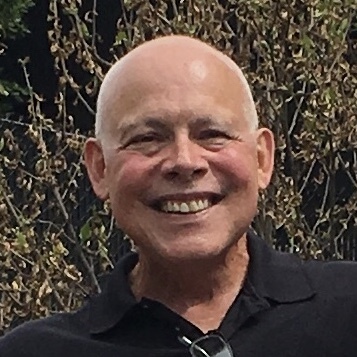 Versailles – Felix A. Martinez Jr., 68, passed away Friday, March 15, 2019, surrounded by family and friends. He was born in Manhattan, NY, the son of Felix and Jane (Koncurot) Martinez. One of seven curly-haired children, Felix and his family relocated to Norwich, Ct, where he graduated from NFA. Despite his coke-bottle glasses, Felix was a great athlete, and his kindness and humor earned him many friends. He then married (a few times), had children (a good handful), and enjoyed many a Yankee game surrounded by those who loved him and with a cold beer in his hand. He whistled and sang and bopped around, finding joy in everything that he did. If you knew Felix, you loved him, and he made you feel the same. Whether he was hiking with his wife, or at Yankee Stadium with his family and friends, or just relaxing at home with his pup Ladybug and a plate of buffalo wings, Felix was happy. There will not a single day when this world will not miss his spirit. Felix worked for a time as a supervisor at Wyre Wynd, and later spent over 20 years working at Foxwoods Casino before retiring last year. He was preceded in death by his parents, as well as his sisters Debbie Martinez, Marie Pierce, and Linda Cefalo. He is survived by his wife Marcia (Girard) Martinez, siblings Phyllis (Dale) Harrington, David (Lu-Ann) Martinez, and Joann Martinez, children Debbie (Bret) Farmer, Melissa Martinez, Felix (Kaila) Martinez III, Christopher Martinez, and Ladybug, along with 4 ½ grandchildren, 2 Great Grandchildren, and many beloved nieces, nephews, and friends. A celebration of life will be held June 8th at 1pm at the Loyal Order of the Moose 115 Fitchville Road Bozrah, CT.